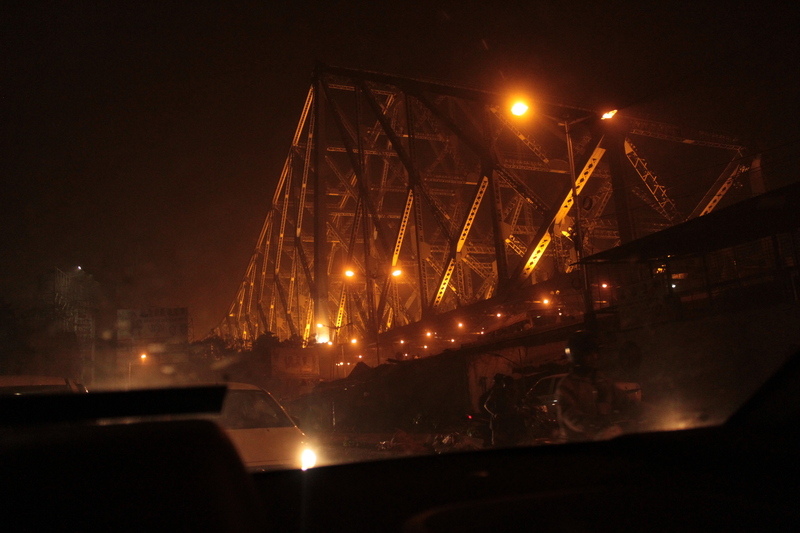 72 hours past and I was already feeling that time is slower than everything, in the city of joy – Kolkata. To relish every moment of what you do is best experienced in this city since the time is always behind us. But, first I had to unlearn things about the city which I had gathered over the years, through stories whose authenticities are always questionable. Stories like – it’s a shabby city, people are rude, the crime rate is very high, their food smells different (lol!!!!! 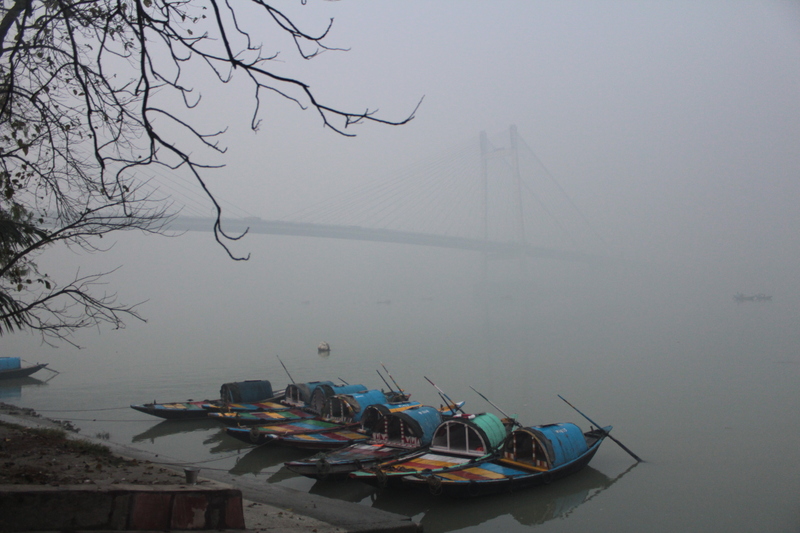 ), and some others, pulled me away from visiting Kolkata. So, what do we do in such a situation? We become the explorer and find out the truth, isn’t it? I did the same! 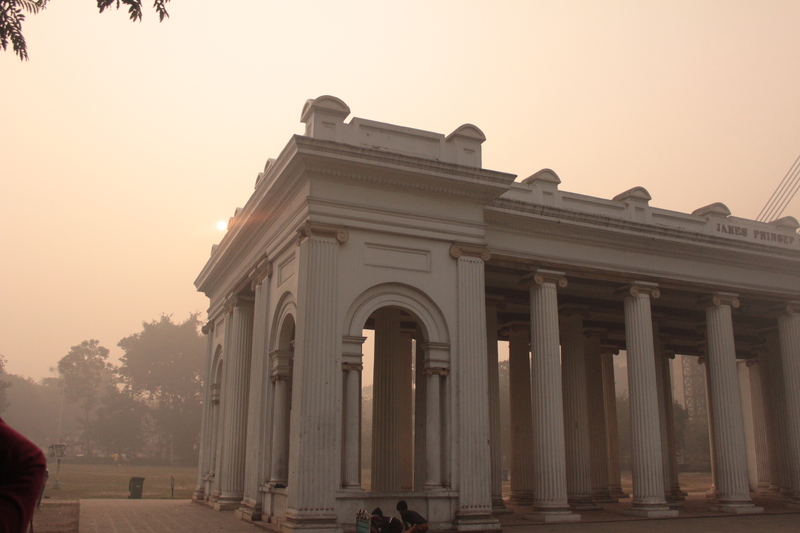 For starters, Kolkata isn’t shabby in anyway. It has its own share of cons like every other city. 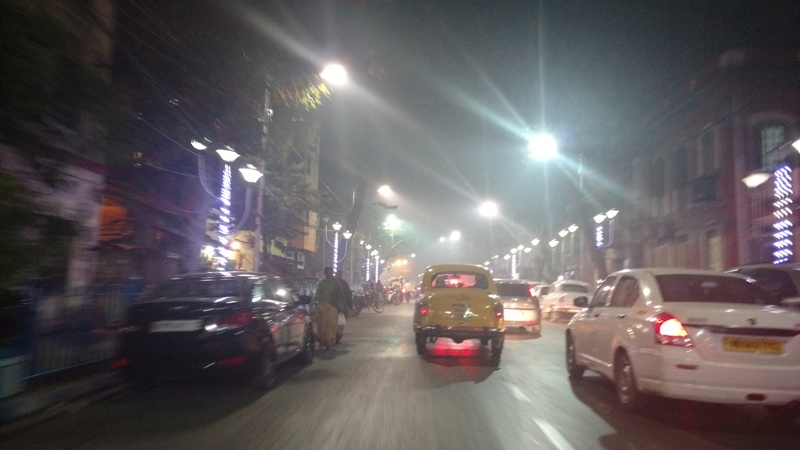 In fact, the roads are beautified with decorative lights. I was lucky to be here during Christmas and experience the celebration in its finest form. 24 hours past, I was already excited with a number of things that I experienced. 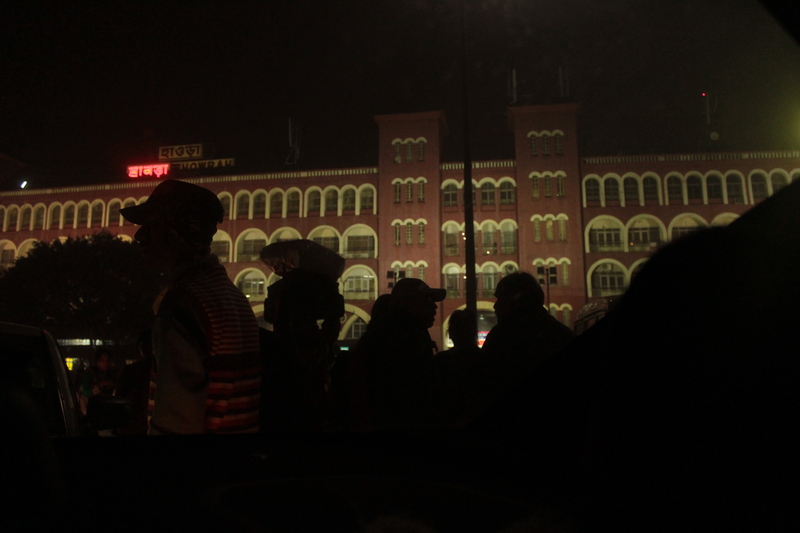 To watch the hustle-bustle of yellow taxis, on the backdrop of the red colored Howrah Junction, and their rat race to cross the Howrah Bridge, was really exciting. My city tour had already begun, thanks to the cab driver, who described to me, the city, it’s life and food. 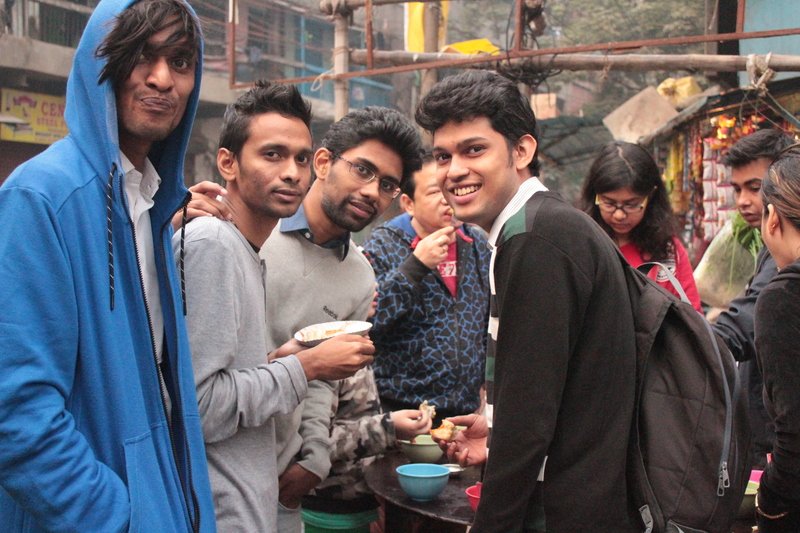 Talking about food, as soon as I got down at my friend Shilaz Dutta’s home, he took me to have the famous Fuchkas. Not only that but also for dinner I was pampered by his mom Mrs. Santa Dutta’s home cooked seafood (Rohu and Halwa), and chicken. 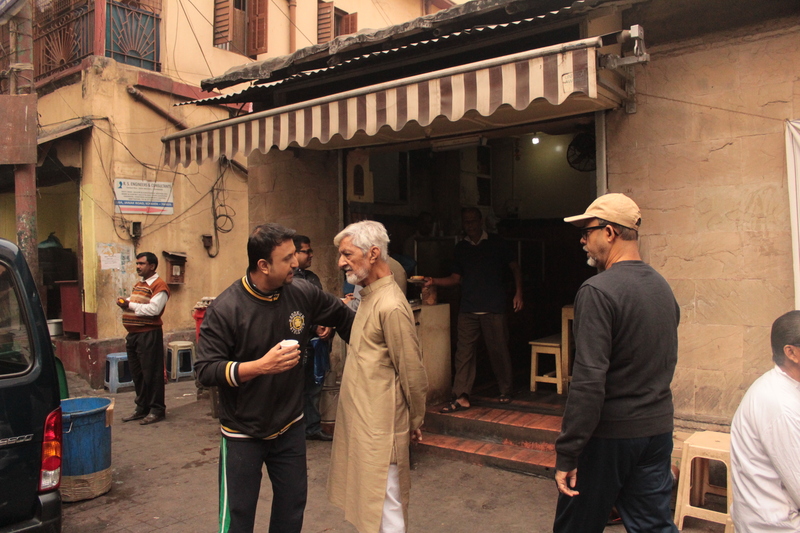 The first morning, my friend and his father Mr. Shubham Dutta played the perfect hosts by taking me to the fish market, a century old Tea House, and a sweet shop. 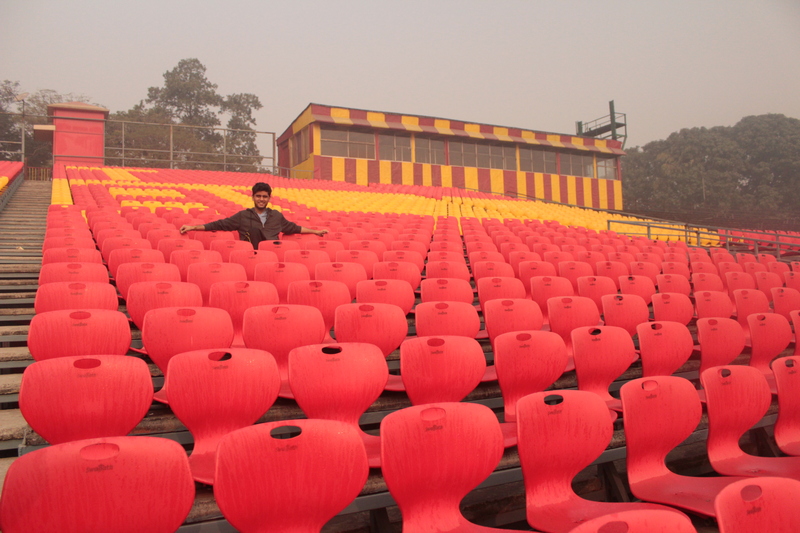 It was 10 am by the time we were in the shop and to my surprise, the seats were occupied by the working-class hero. But, before I could ask anything, my friend said, “After a game of football or cricket, or jogging, these guys come here and discuss life in general, politics, sports, and then leave for work at around 11-11.30 am.” Such is life in India’s cultural capital. 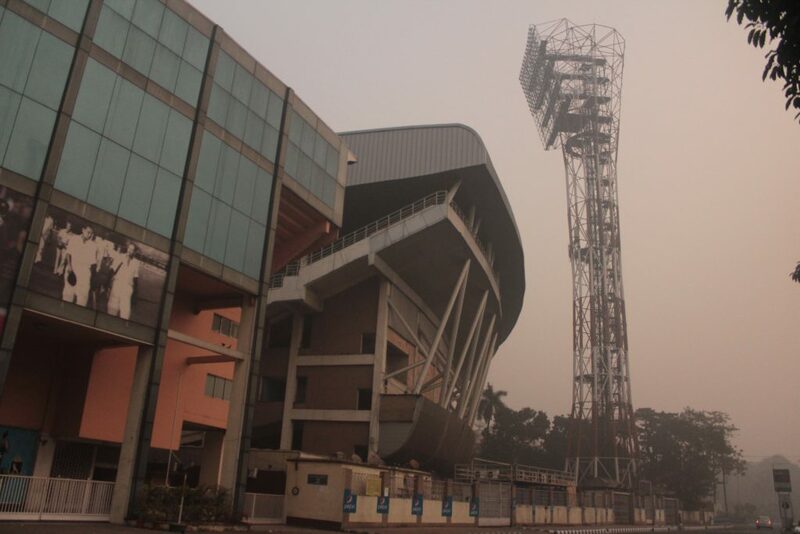 In the next 48 hours, I travelled in the tram and the yellow taxi, ate chicken roll on the street, took a stroll on the Princep Ghat and Maidan, got a picture in front of the magnificent Eden Gardens Stadium, experienced the early morning eastern winter with a Chinese breakfast at Territy Bazaar, followed by a stadium tour in East Bengal’s home ground, and brewing on a hot stew in a canteen. Food never left my side in the first 3 days in Kolkata. Mrs. Dutta made sure that my taste buds get the deliciously cooked food, that they deserved. 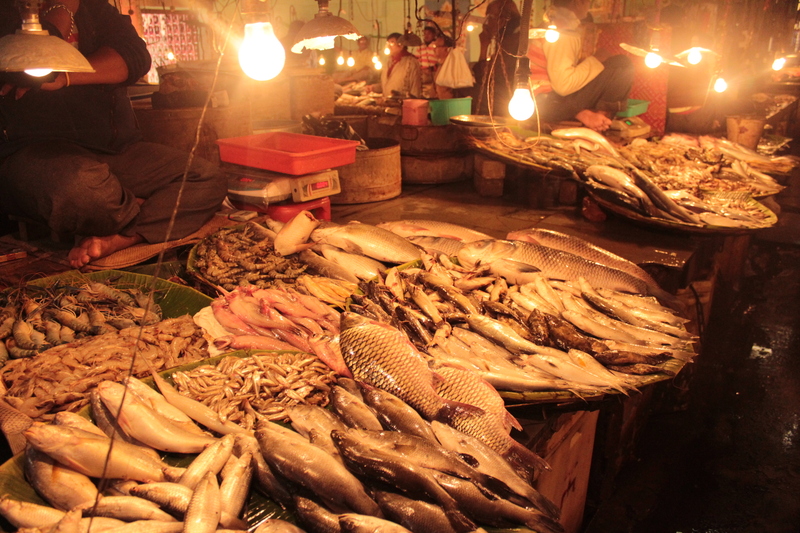 I had tried 8 different Bengali dishes – Rohu, Halwa, Chingri Malai Curry, Parshey Fish in Torsion Curry, Duck Egg Curry, Rohu Fish Kalia, Tengra Fish, and Mutton Kasha. 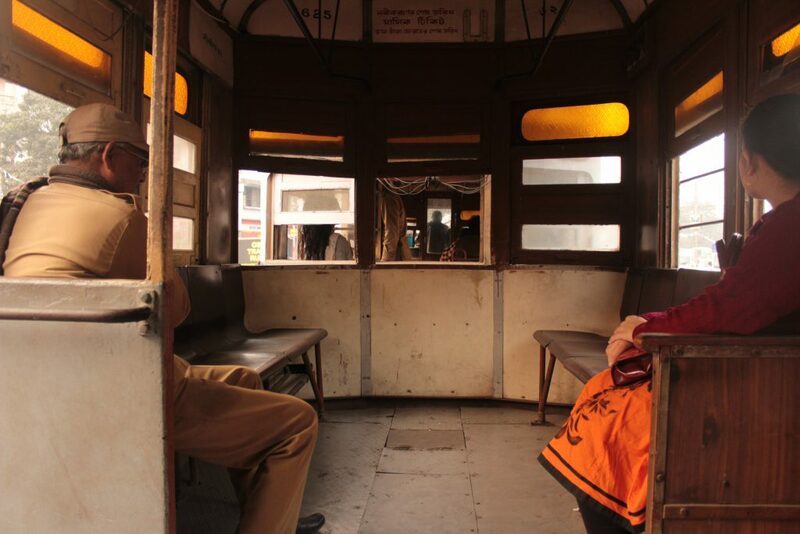 It was also because of Shilaz, who was always around like a wingman, introducing me to a new place, traditions, cultural aspects, people, and tea stalls in every nook and corner of the city, I understood the city in a better way. So, the next few days were about ‘Ekla Chalo Re’, where I explored the city on my own!